I try not to believe the crazy rumors that spill out of the woodworks about production woes. I tried not to believe that Josh Trank was fired from Fantastic Four, and that someone else had to come in at the last minute to finish the movie with scraps. But talk like that is hard to ignore when Trank himself goes on Twitter and essentially blames studio interference for the shoddy product. 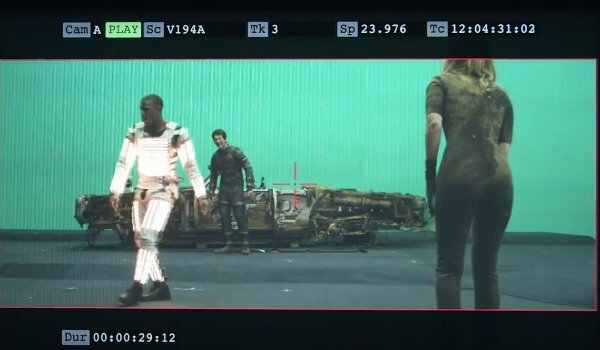 Trank tweeted "you’ll probably never see" his "fantastic version" of the film, but thanks to some b-roll footage, we’re seeing more deleted scenes come to the life. And one standout is the inclusion of a Fantasti-Car. 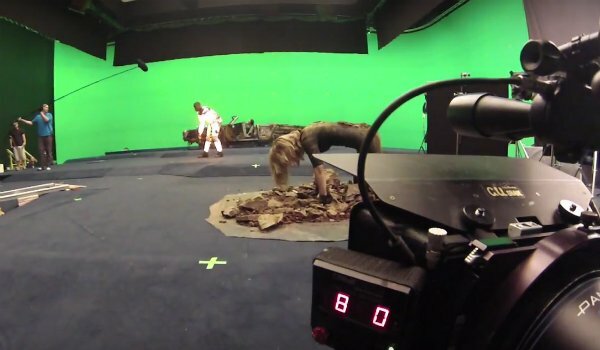 The video above shows off some of the behind-the-scenes magic that went into the making of Fantastic Four, but there are also a few scenes that definitely were not in the movie that made it to theaters. The Fantasti-Car, for one, makes three appearances in this video: the first and last show the vehicle charred to a crisp as Johnny Storm (Michael B. Jordan), Sue Storm (Kate Mara) and Reed Richards (Miles Teller) recover from an attack, and the second is a gag showing Sue jumping into the passenger seat outside what looks like a suburban house. The Fantasti-Car is a flying car invented by Reed. It made its appearance on the big screen in Fantastic Four: Rise of the Silver Surfer, though this version looks more like a prototype. Whether it even was meant to fly in this film is beyond me, though all these scenes were clearly cut from the film. Perhaps they'll make their way somehow to the inevitable DVD/Blu-ray release. Another moment that did not make the final cut involves an injured Johnny. In the video, we see Jordan lying on his back with his sister hovering over him in tears. We got a glimpse of this moment in the original trailers, but by the end of the promotional campaign, it got cut. A lot has been said about Fantastic Four, its trials, and the end product. But it's safe to say the film underwent too many changes for comfort. Fantastic Four is currently out in theaters, with a cast that also includes Jamie Bell, Toby Kebbell, Tim Blake Nelson and Reg E. Cathey. Did you see it yet? What did you think? And did you wish we got a chance to see the actual Fantasti-Car, in action?